Hugo Boss crafts a uniquely perfomance-driven piece with three separate subdials that help you track several subdivisions of time. The circumference of the dial features five second increments helping you track time precisely and is secured with a textured bracelet. 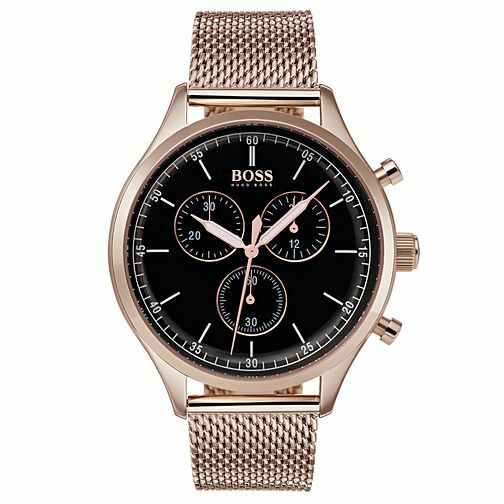 Hugo Boss Companion Men's Ion Plated Chronograph Watch is rated 5.0 out of 5 by 1.